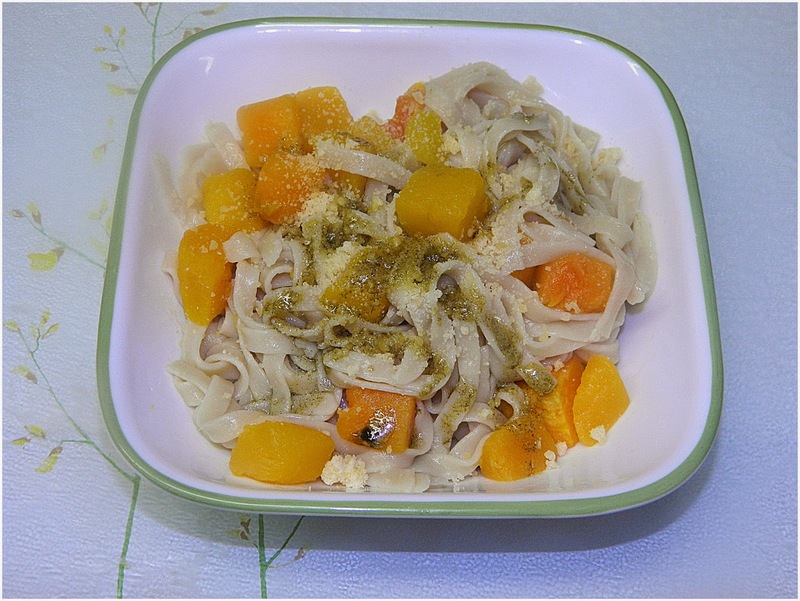 This week, our Donna Hay group made a simple pasta dish, selected by Margaret. I did not have pumpkin but I did have butternut squash which I subbed in. I also did not have fresh sage but I did have some dried sage to take its place. I am not sure how I would rate this dish. We enjoyed it and I would make it again but it would not go on my must haves. I think, I would have liked another element, caramelized onions of a green vegetable. This only had butter, sage, pasta, Parmesan and squash and other than browning the butter and cooking the pasta, it went together with ease and did not take long at all. I did not have to cook the squash; I bought a bag of frozen cubes and that really made this a snap. Please go on over to the Wednesday with Donna Hay page and see what everyone else did with this dish and whey they thought of it. It looks good Chaya. After round one, I added tuna as an extra element. Your proposed variations sound nice, Chaya, and we loved this one, too....and yes, I would definitely summon the original recipe up at a moment's notice, no problem, for some reason, it hit on all the cylinders here. Nice photo of it. I loved sage butter with sweet potato ravioli, so this has to be wonderful. I imagine the butternut is a perfect substitution! I like sage a lot and think it isn't used nearly enough! Good combination: sage, butternut squash, butter. Glad you liked it. I did too but I don't think I will make it often. Butternut squash sounds perfect.